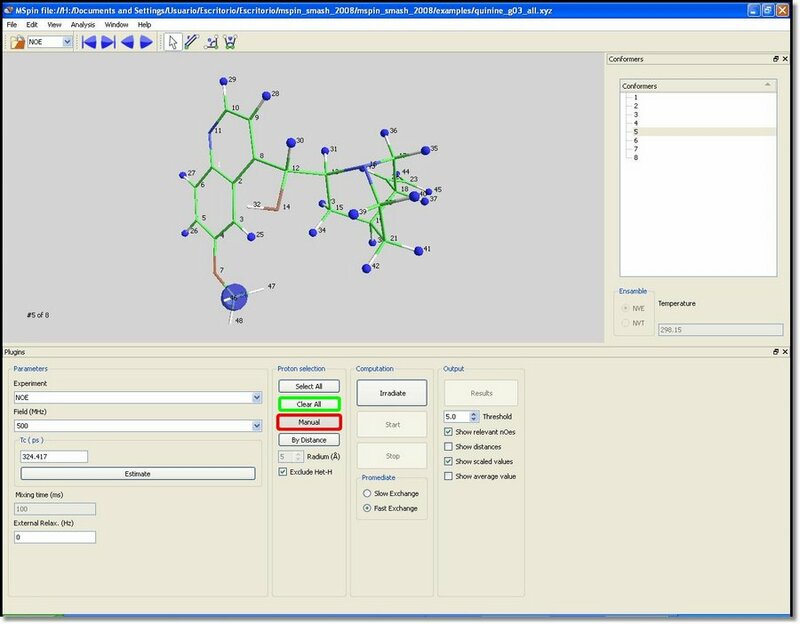 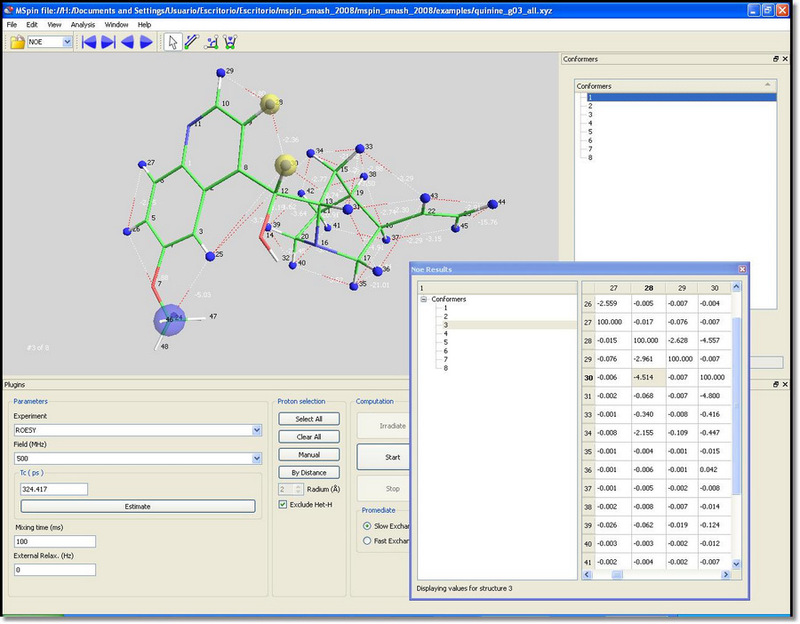 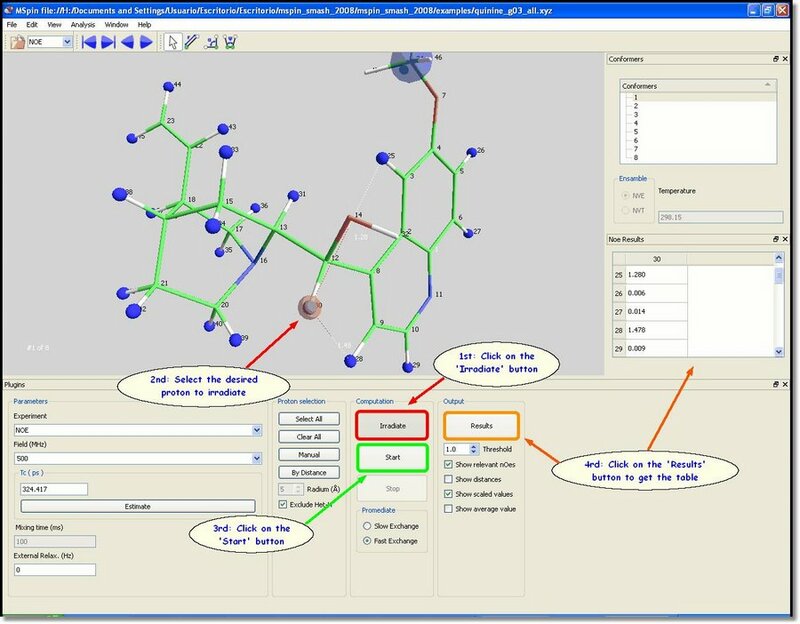 Frequently, the user may want to perform computation only on a region of interest in a large molecule. 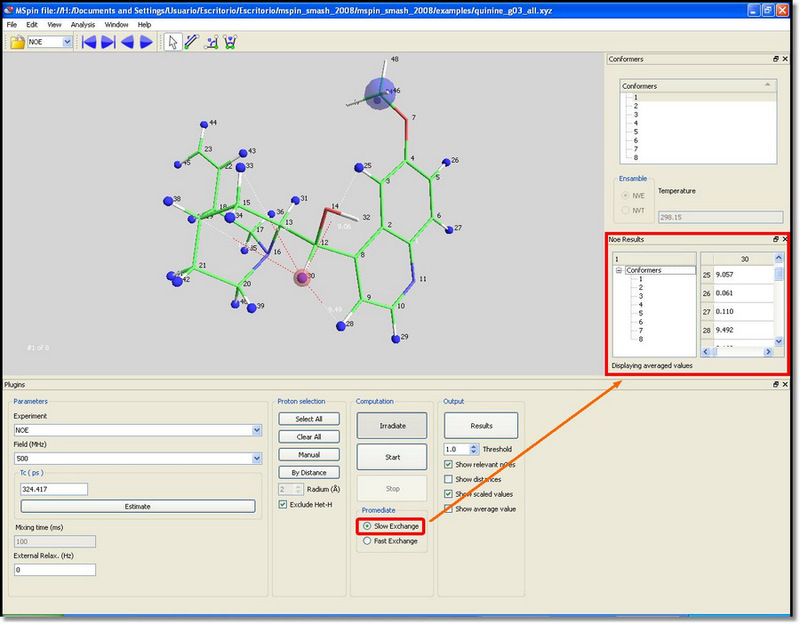 This can be done using the ‘By Distance’ button. 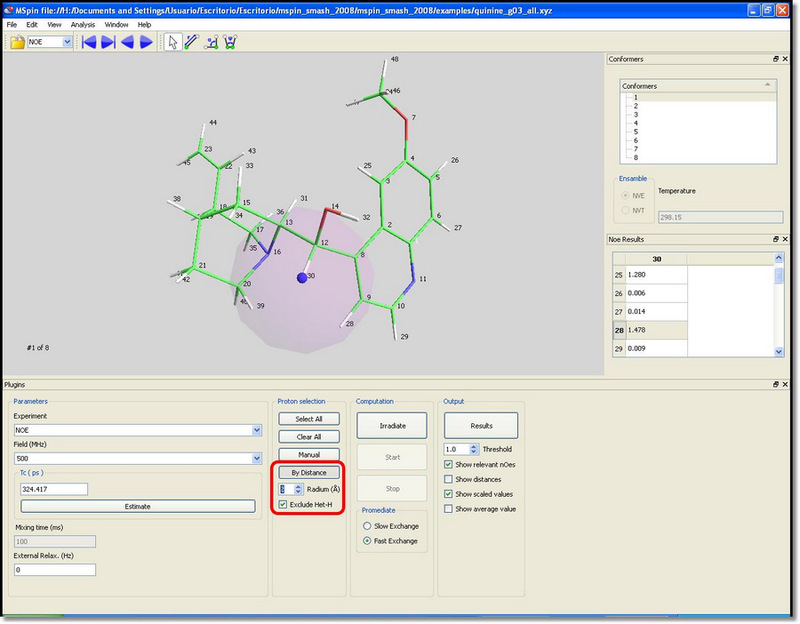 Clicking on this button and picking on a proton, all atoms inside a sphere (shown in purple) of the desired radium, will be included in the computation.